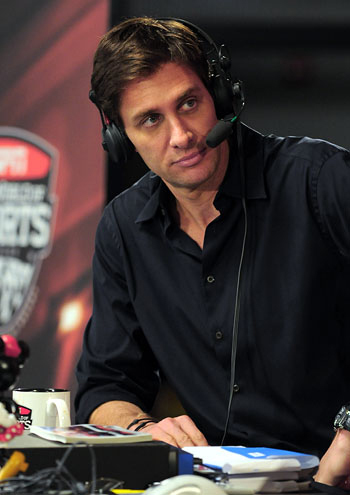 ESPN radio personality Mike Greenberg (Medill '89) will lead the 2013 Homecoming Parade. He will also broadcast his show, "Mike & Mike,” from campus as part of the festivities. Northwestern Homecoming will bring back old favorites of students and alumni in the coming week with new events based on 1990s popular culture. Fans of Nickelodeon’s “All That” will be able to check out Homecoming court’s take on the popular variety show at “All Cat” on Wednesday at 8 p.m. Those who grew up dreaming of competing on “American Gladiators” can take on an inflatable obstacle course on Deering Meadow on Tuesday afternoon. Homecoming events kicked off Sunday afternoon with the second annual Color Roar, which Homecoming co-chair Kate Geraghty said set a new attendance record and raised about $1,500 for the Summer Internship Grant Program. “I’m still picking paint out of my eyelashes,” the Weinberg senior said with a laugh Sunday afternoon. During the event, set to a playlist of ’90s favorites, students wearing white t-shirts flung colored paint at each other. The event, like the full schedule NU Homecoming committee has lined up for the week, is intended to prepare students for the football game against the Ohio State Buckeyes on Saturday night. “If you’re pumped about the game starting Sunday, you’re going to be so pumped and ready to go by Saturday,” Geraghty said. Programming will continue Monday with the new “Homecoming Hunt,” a campus-wide scavenger hunt in which student teams will use a smartphone app to check in at campus landmarks. The ’90s classic “Jurassic Park” will be screened Monday night on Deering Meadow. Homecoming’s Gladiator event on Tuesday will also feature food trucks on the field from 1 p.m. to 3 p.m. Greek Eats will host a Chipotle coupon event at The Arch on Thursday evening. After grand marshal Mike Greenberg airs his ESPN morning radio show from Deering on Friday morning, students can mix with alumni at Memories at the Rock, the student-alumni mixer, the annual parade and the pep rally. A ’90s cover band will perform a concert on Deering after the pep rally Friday night. Plans for a 5K run Saturday morning were scrapped after ESPN’s “College GameDay” made plans to broadcast from the northern Lakefill area at the same time. Geraghty said the executive board intends to go to both Saturday’s “GameDay” show and the “Mike & Mike” broadcast on Friday morning. 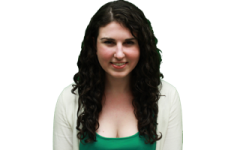 “We wanted to show not just Northwestern how spirited we are, but the whole country how spirited we are,” Geraghty said. Homecoming co-chair Tina Umanskiy said the ESPN shows and football game will set the week apart from past years. Click on the graphic for a full calendar of Homecoming Week events.